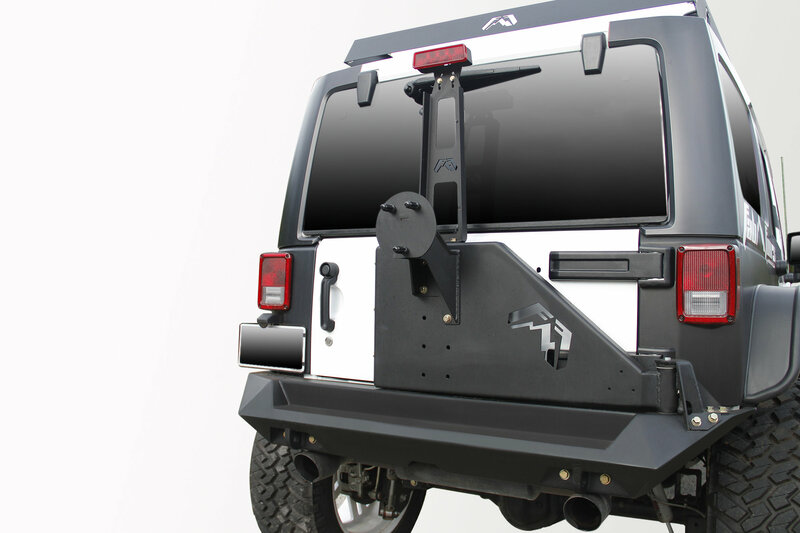 Building on their reputation for the highest quality and design in the Jeep market, the Fab Fours "Knife Edge" Rear Bumper with Off-The-Door tire carrier is the first ever 5-Point swing away system. 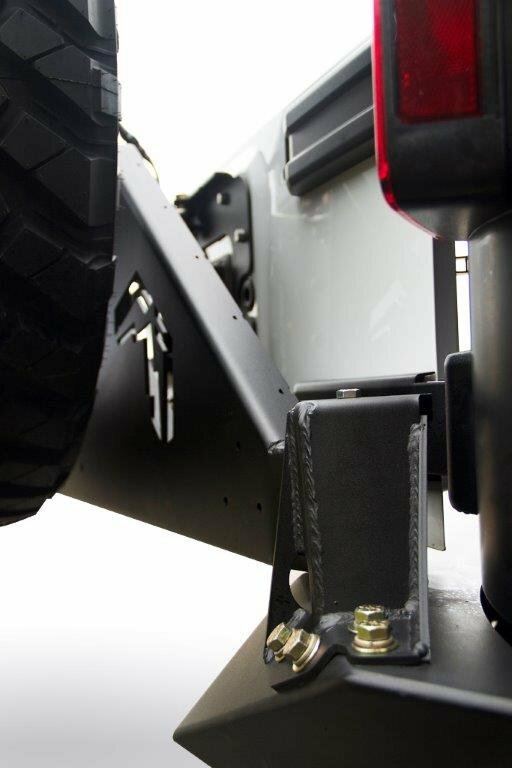 The Dual rotating axis allows tire carrier to open with Jeep door while maintaining strength and durability. 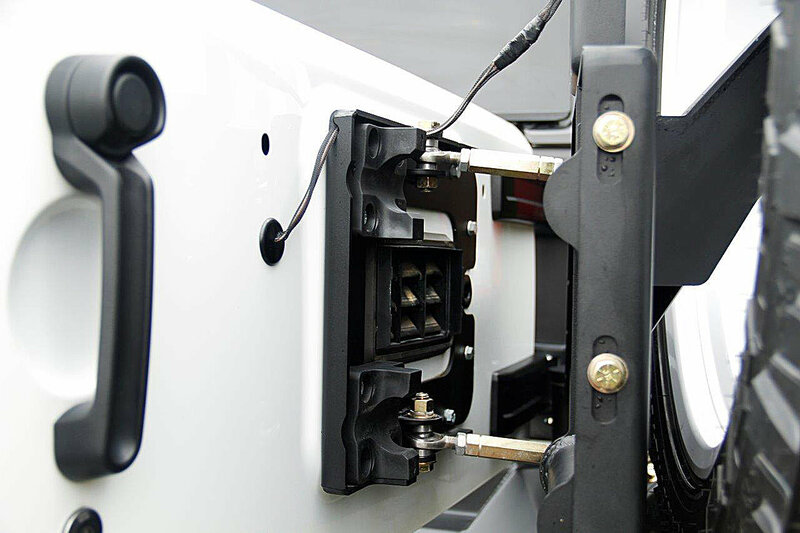 It is equipped with more accessory holes to better accommodate all attachment needs. 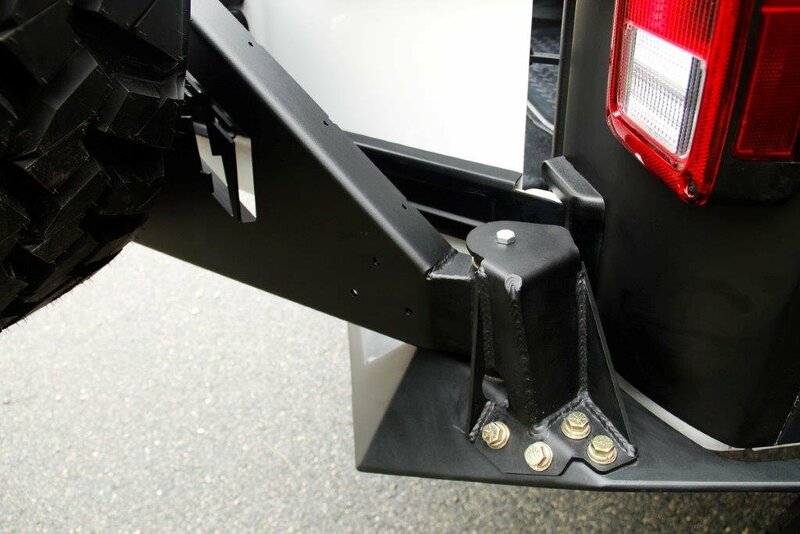 Allows for High-Lift Jack Mount and Third-Brake Light attachments. 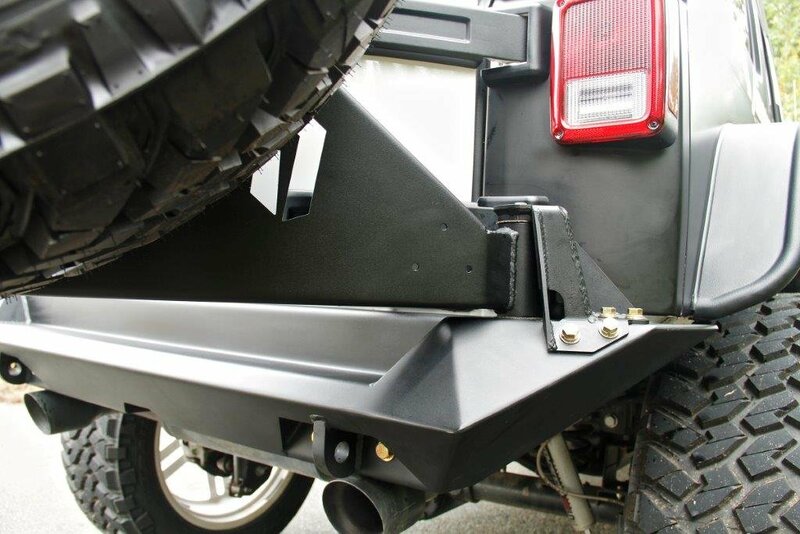 It is fully adjustable to fit a range of tires and accommodates up to a 40-inch tire. Fab Four's signature "Knife Edge" design. 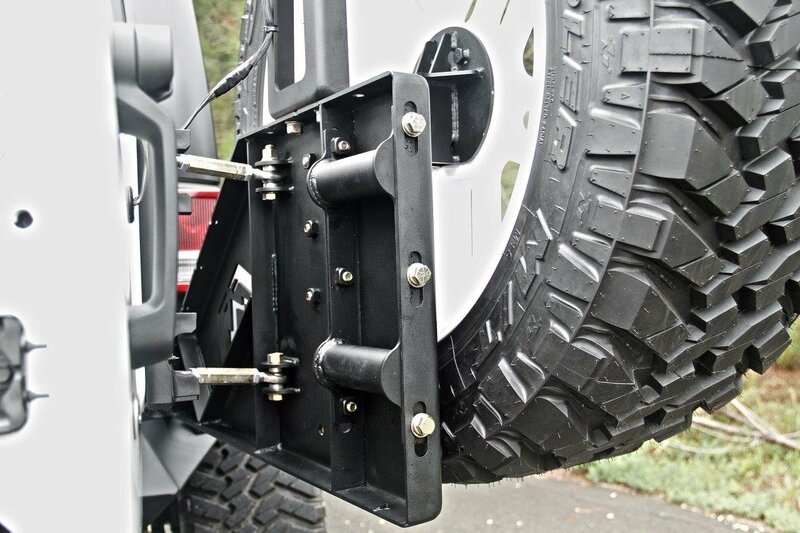 Will handle up to a 40" tire.